Viktor Chernomyrdin, aide to the Russian president and prime minister of Russia during the country’s turbulent years from 1992 to 1998, died early this morning. 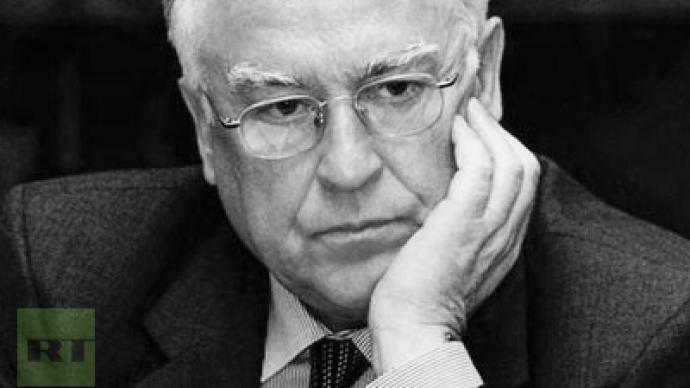 Chernomyrdin was one of the most authoritative and recognizable Russian politicians in 1990s. Nevertheless, the Russian people remember him best for his ready tongue and vivid phrases, many of which became sayings in the popular lexicon. Chernomyrdin as a prime minister came up against many problems that Russia was facing in that period, both on the international arena and in home policy, which, in particular, included an especially difficult economic situation and the first Chechen conflict in 1994-1996. In 1995, Chernomyrdin personally held negotiations with the notorious militant leader Shamil Basayev over the release of hostages when Chechen militants seized a hospital with about 2,000 people in the city of Budennovsk in Southern Russia. As a result of the talks, most hostages were freed. After he was dismissed by then-President Boris Yeltsin in 1998, along with much of the government administration, Chernomyrdin occupied several top-rung positions. In particular, he served as a special envoy to the former Yugoslavia when NATO’s involvement in the Kosovo conflict began, and was later nominated for the Nobel Peace Prize for his crisis-solving efforts. After that, he was appointed Russia’s Ambassador to Ukraine, and occupied the post for eight years, from 2001 to 2009, his stance being rather critical of the Kiev government. Itar-Tass news agency quotes a source in Chernomyrdin’s secretariat, saying that he had been suffering from a long-term illness. Chernomyrdin was also very distressed about the death of his wife in March, 2010. The late statesman will be buried next to his wife in Moscow’s Novodevichy Cemetery.